Annual ATVing pilgrimages. They happen. Here’s how. 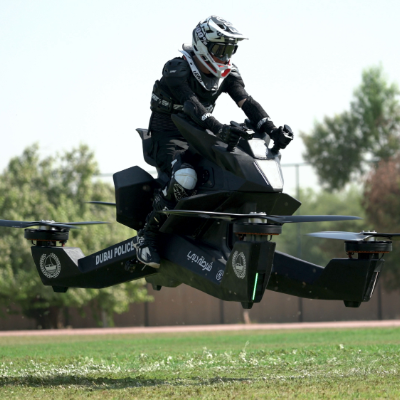 Ever wondered what it would look like if your street had an ATV block party? In a sense, that’s what Tom Nguyen has done in the tiny village of Anmore, B.C. 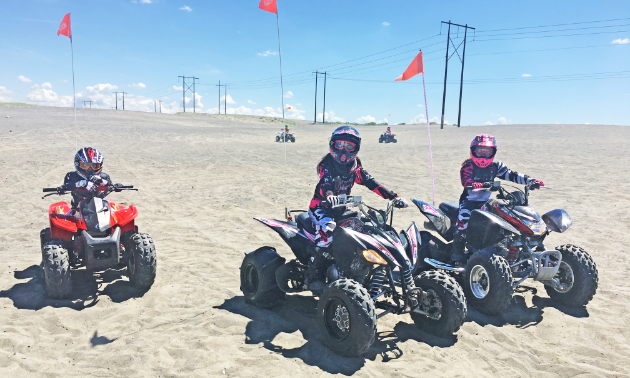 Only instead of ripping up pavement on Sunnyside Road, locals pack up their quads and dig through the sand dunes of Moses Lake, Washington. 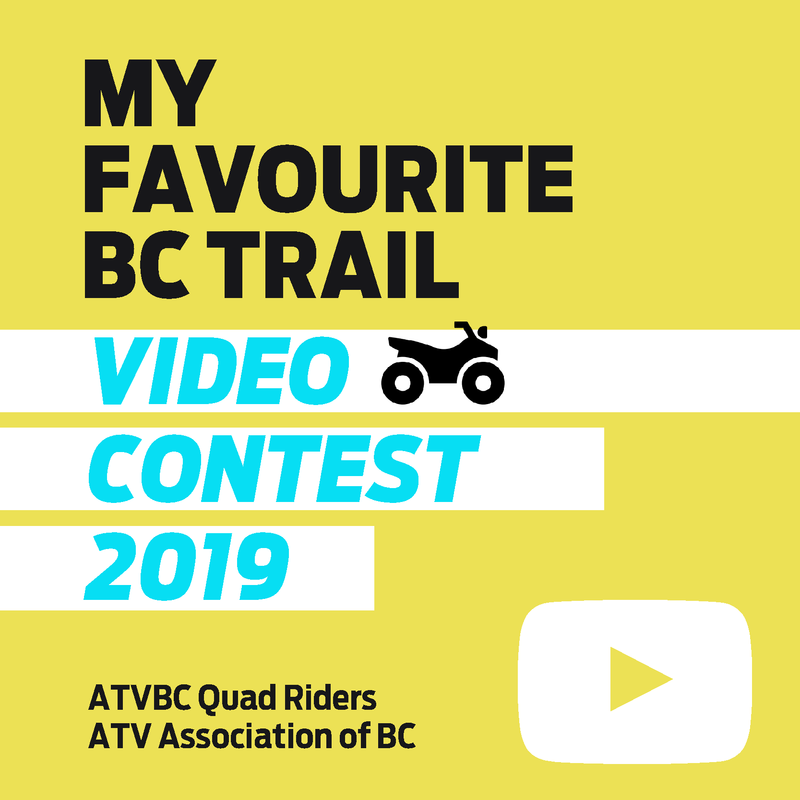 Nguyen is the founder of the Anmore Off Roaders, a riding group comprised of neighbourhood friends with similar interests. Anmore only has a couple thousand residents, but those who call Anmore home are a tight-knit bunch. 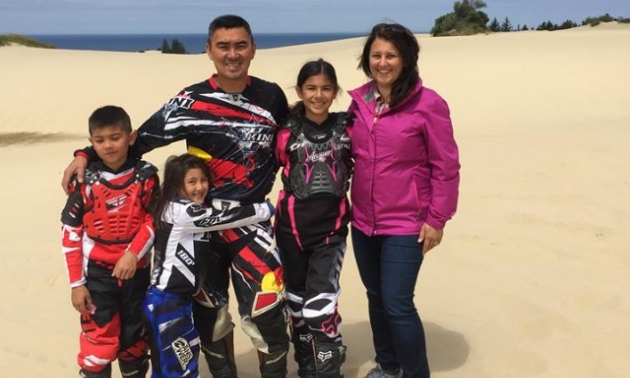 For the past six years, Nguyen has been organizing riding/camping trips during the May long weekend to Moses Lake Mud Flats and Sand Dunes. Each year since its inception, the collection of riders continues to grow. Living in a village full of gearhead dads leads to a lot of kids with dirtbikes and ATVs. The most recent venture saw 16 children—most below the age of 11—make the trip to Moses Lake. Engaging and teaching the next generation of riders is something Nguyen and his neighbours take great pride in. 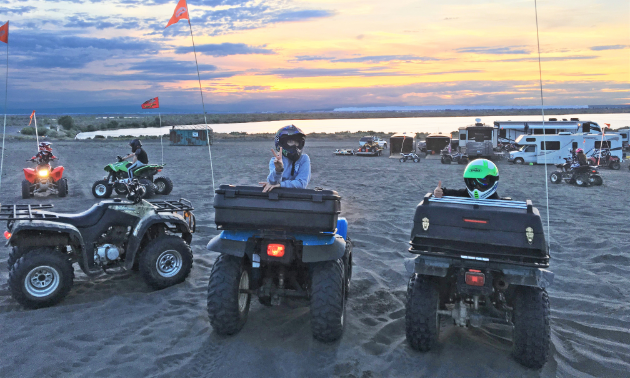 Besides the obvious pleasure that comes with learning to ride, there are a number of lasting benefits young’uns take with them from their time at Moses Lake. “Starting a kid on an ATV at a young age will help them become a safer and more confident car driver in the long term,” Nguyen said. 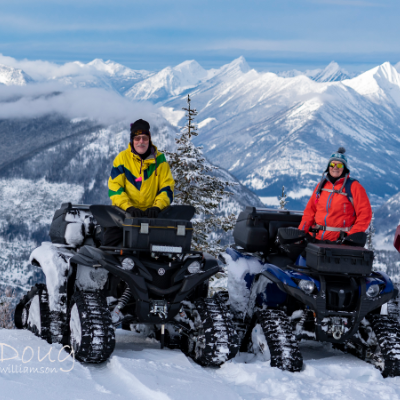 “Handling an ATV down a 100-foot (30-metre) sand dune while slipping and sliding and trying to keep weight evenly distributed will advance their ability to drive, stay calm and not panic in other situations that are not as severe. My 11-year-old daughter, Amalia, already has an incredible cognitive sense of starting, stopping, looking for dangers and making turns. As for why Nguyen decided to make the annual trip to Moses Lake as opposed to any other location, it comes down to the right combo of safety, proximity and weather. 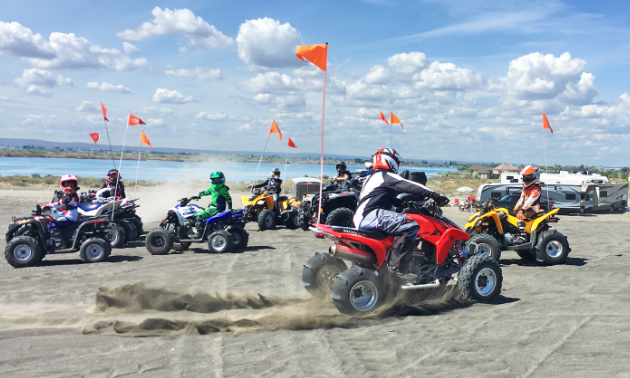 “Moses Lake is the ideal place for kids to learn how to ride ATVs,” he said. “The sand dunes are small and the sand isn’t too soft, so the kids can climb most of the hills. The dunes are safe for riding as there aren’t any massive razorbacks, cliffs, trees or even rocks to hit. A few of the kids had spills this year, but it’s much softer landing in the sand than hard dirt, gravel or rocks. Cruising the dunes is a blast no matter how you tackle the terrain. Of all the various ways to experience Moses Lake, Nguyen recommends the Boardwalk trail. Boardwalk is a two-to three-hour trek that borders the lake and snakes its way all the way around the dunes. The contrasting topography of beautiful sand dunes and a majestic lake creates a spectacular view. The trail is full of challenging climbs and sharp turns. Because the trail has been ridden by thousands of riders, berms are tall and wide and the sand is soft, making the trail akin to snowboarding through a race course. The closeness and familiarity the Anmore Off Roaders have fostered in their community is remarkable. Even fellow ATVers met along the way are confounded that such a friendly dynamic could exist in any community. “When we say we’re all neighbours, the looks we receive are priceless,” Nguyen said. Here’s what he and his family ride on their outings together.